Scientific Edge / The value of FaceTime: Do toddlers learn and bond with people over video chat? 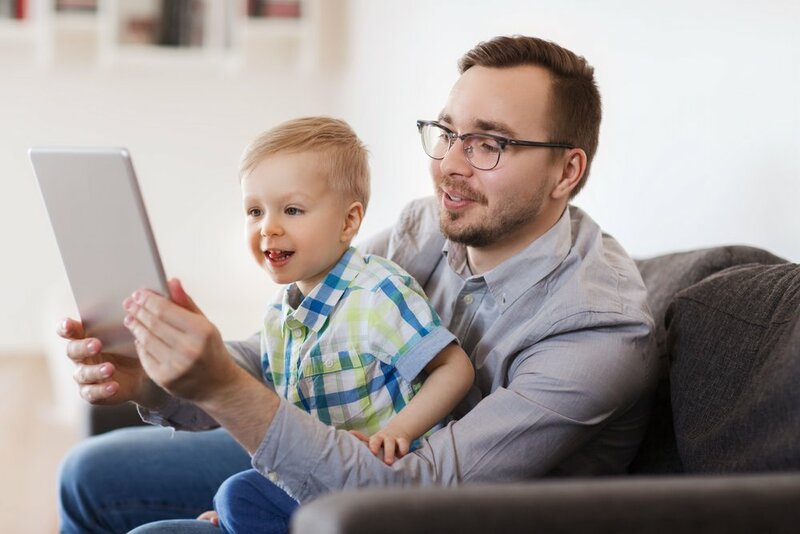 Researchers found that children paid attention and responded to both people in the video, but only responded in sync with the partner in the interactive video chat (such as imitating a clap after the person in the video did). Likewise, after one week of video chatting, children in the live condition learned social and cognitive information. For example, they preferred and recognized someone they had talked with through video-chat and they learned new words and patterns. Learning did not occur when the partner was pre-recorded and couldn’t actually see or hear the child, and respond accordingly. They found evidence that kids can tell the difference between live interactions and pre-recorded ‘false’ interactions that have pauses after questions and calls to response –similar to many popular children’s programs on TV. According to this study, at around the age of 17 months, children begin to learn from live video interactions with real people. “They start to understand who that person is on the screen, and they’re able to get something meaningful out of the live video interaction with them,” says Myers. So you can rest at ease knowing that your toddler can and will learn from and create bonds with family members, like grandma and grandpa –even if they don’t physically see them a lot. Live video chat tools help build a bridge between them.